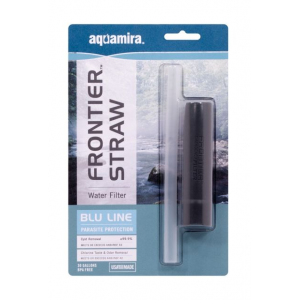 Aquamira Camp & Hike Frontier Filter Straw 42100. It is the perfect addition to your 72 hour emergency kit. One unit will filter up to 20 gallons (75L) of water. The Frontier Filter is tested and certified to Remove >99.9percent of Cryptosporidium and Giardia. The Frontier Water Filter System is also easy to operate just attach and expand the straw submerge the filter end into the water source and drink through the straw. Emergency or back-up filter for traveling, hiking and fishing. The filter can be used to drink from any bottle or cup or directly from water sources. Removes contaminants down to 2 microns in size including pathogens such as giardia, cryptosporidium and large bacteria. Can filter up to 20 gallons depending on water clarity. Comes with filter and straw. Dont let contaminated water cut your adventure short. 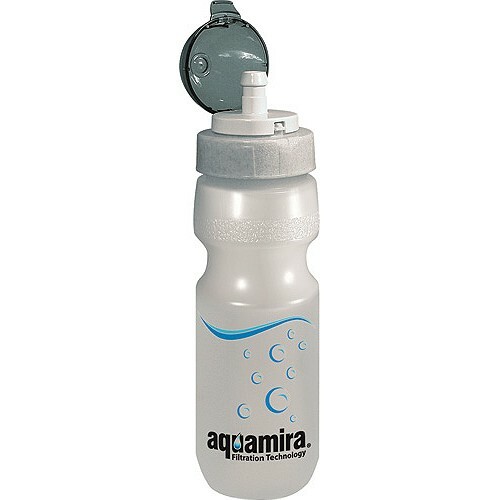 Play it safe and filter up to 30 gallons with the Frontier Filter by Aquamira. 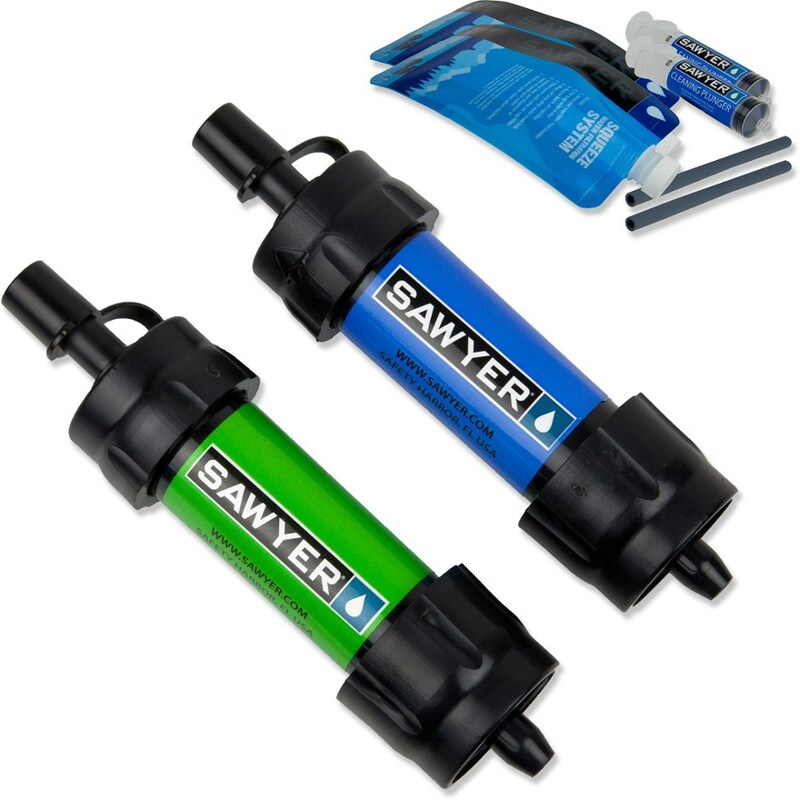 This ultra-portable water filter is designed to take along wherever you goand its highly effective against the invisible culprits waiting for you in the water. The Frontier Filter uses the torturous path method of water filtration, which traps over 99.9% of harmful Cryptosporidium, Giardia and other pathogens, including waterborne insect larvae and many bacteria such as E. coli. Package of two. 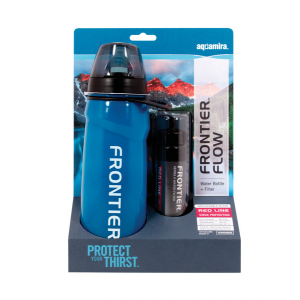 Perfect for emergency kits, foreign travel, backcountry, and outdoor activities, the Aquamira Frontier Emergency Water Filter System is one of the smallest, lightest, and simplest water filters available. 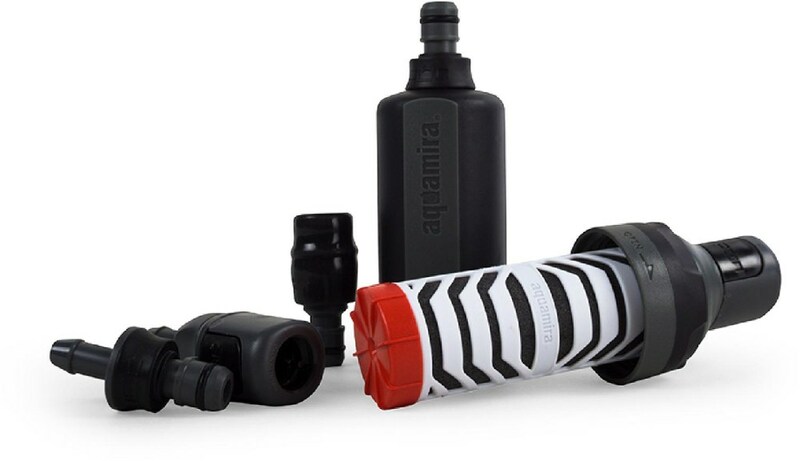 On short trips where lugging around an advanced water filter isn't necessary, carry the compact, straw-like Aquamira Frontier Water Filter from McNett. 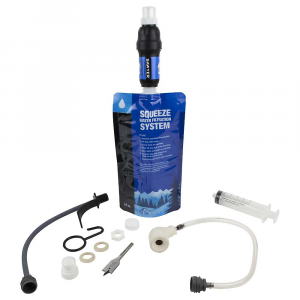 Remove contaminates and pathogens such as Giardia, Cryptosporidium and large bacteria bigger than 2 microns with this simple, lightweight filter.